Ease of Doing Business: How did India manage to improve its rank? Prime Minister Narendra Modi Friday said India is aiming at being in the list of top 50 countries next year in the 'ease of doing business' category. The country's ranking has jumped 75 places in the World Bank's ease of doing business rankings, Modi said. India is now ranked 77th in the list. "I have asked my team to work harder so that India is in the 'Top 50' list in ease of doing business next year. I want our regulations and processes to compare with the best in the world. We have also made doing business cheaper," Modi said in his inaugural address at the 9th edition of the Vibrant Gujarat Global Summit. 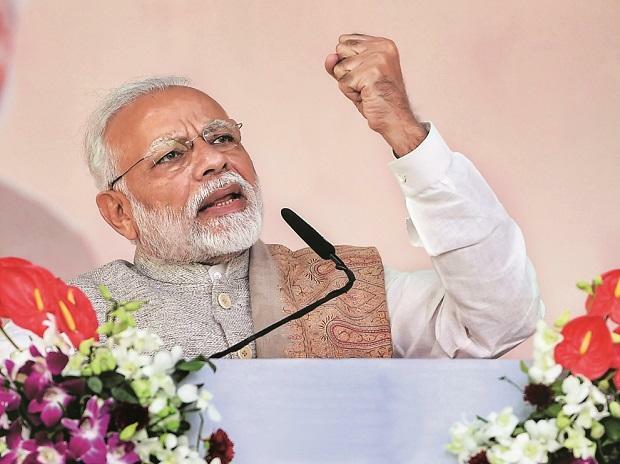 Modi said his government is focused on removing the barriers which were preventing the country from achieving its potential and will continue with the pace of reforms and deregulation. Implementation of Goods and Services Tax and measures of simplification and consolidation of taxes have reduced transaction costs and made processes efficient, he said. Digital processes, online transactions and single- point interfaces have also helped in doing business faster, he said. Modi said doing business smarter has also been the focus of his government. IT-based transactions in procurement and purchases by the government and digital payments have been steps in this direction. he added. Addressing the gathering in the presence of political and business leaders from different countries, Modi said Indian administration has worked with a focus to reduce government and enhance governance, with the mantra of 'reform, perform, transform and further perform'. He said the change in terms of direction and intensity has been quite visible since the last four years after his government came to power. Modi said his government has taken several drastic steps and deeper structural reforms adding to the strength of India and its economy. Among these reforms was removing the barriers that prevented India from achieving full potential, he said. This has led major global financial institutions like the World Bank and the IMF as well as agencies like Moodys to express confidence in India's economic journey, he said. We will continue the pace and process of reforms and deregulation, he said. Modi said his government's policies have helped bring in foreign direct investment worth $263 billion in the last four years, which he said is 45 per cent of the FDI received in the last 18 years. "Most sectors of our economy are now open for FDI. More than 90 per cent approvals have been put on automatic route. Such measures have propelled our economy to a high growth path, he said. With an average growth rate at 7.3 per cent per year in the last four years, GDP expansion has been the highest since 1991, Modi said. He said that challenge for India remains the need to grow horizontally as well as vertically. Horizontally, we have to spread the benefits of development to regions and communities that have lagged behind. Vertically, we have to meet enhanced expectations in terms of quality of life, quality of services and quality of infrastructure," he said. Expressing the need to create job opportunities for the young population, Modi said his government's decisions have been directed not just for doing business but also for ease of life of our people. "We also understand that being a young nation, we need to create job opportunities and better infrastructure. Both are linked with investments. Therefore, in recent years, there has been unprecedented focus on manufacturing and infrastructure, he said. Modi said his government is keen to raise investment in next-generation infrastructure in roads, ports, railways, airports, telecom, digital networks and energy to help a 'New India' take shape that will be modern and competitive and yet caring and compassionate. The Vibrant Gujarat Summit was conceptualised in 2003 by Modi who was then Gujarat chief minister to re-establish the state as a preferred investment destination within India. The event has evolved into a platform for brainstorming on agendas of global socio-economic development, in addition to being a facilitator for knowledge sharing and forging effective partnerships.